State will help schools screen for potential violence, promote safety tip line and prevents suicide, harassment and bullying. 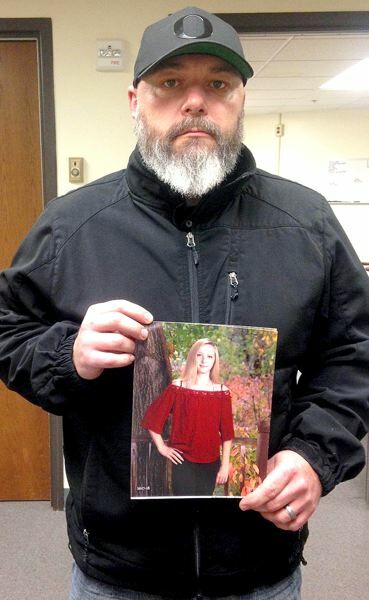 Nearly a year later, her father and stepmother, Jason and Roxanne Wilson, returned to the Capitol in Chloe's honor to push for more robust suicide prevention policies in Oregon schools. Her family said the funny, friendly girl who dreamed of becoming a surgeon was depressed and anxious, and bullied by other kids. "I wanted to give you a face to this issue," Roxanne Wilson testified, holding up a portrait of Chloe smiling in an apple-red shirt. The Wilsons and other parents, students, teachers and mental health experts who came to the Capitol this week to say Oregon's kids are in crisis. Lawmakers are listening. Eighteen senators and representatives have sponsored a plan to direct nearly $2 million per year to address violence and bullying in schools. They call it the "Oregon Safe To Learn Act." The state would help schools screen for potential violence, promote the state's school safety tip line, and create programs aimed at preventing suicide, harassment and bullying. The idea is to reduce those incidents. The act would pay for 15 employees at the Department of Education to lead that work. Those employees would help school districts with prevention programs and help coordinate schools with mental and behavioral health care providers. It would also help school and education service districts to establish teams to assess threats to student safety. Those teams would, under the proposed law, also develop intervention plans and connect students and families with local resources and support. "I think it's not just dropping money and being like, 'Ok, have fun, do whatever you want with it,'" Wagner said, "Honestly, the Legislature is realizing this is a crisis, and we want to make sure that we're having oversight of those resources." The proposal has broad backing, from pediatricians to police and Gov. Kate Brown. It's the product of years of work by a group of police, educators and mental health experts under the auspices of a gubernatorial task force on school safety. "We are concerned about who will be involved in assessment teams," Lochner wrote in testimony to the House Committee on Education. "There are many documented discrepancies with race by law enforcement and school systems in Oregon and we need to make sure these discrepancies will not exist within this system." State Rep. Cheri Helt, R-Bend, a longtime Bend-La Pine School Board member until last month, was moved to tears by the testimony on Wednesday, Feb. 6. She said Central Oregon lost 15 children to suicide in 2017. In that area, she said, a suicide prevention specialist in Deschutes County works with local schools. 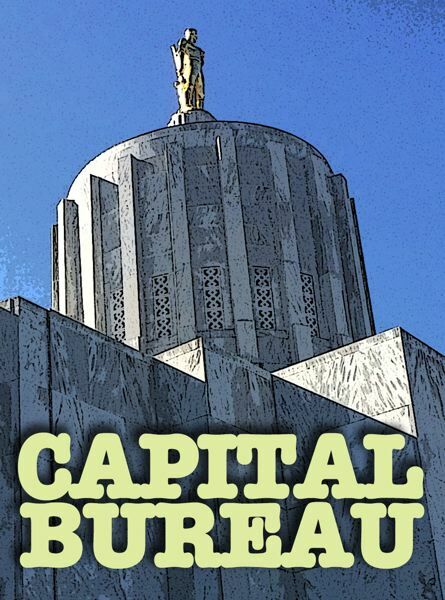 "This program that you're proposing has five suicide specialists, so that means they're going to have a much broader area," Helt told Dave Novotney, who helped lead the group that developed the Oregon Safe To Learn Act, during a public hearing on Wednesday. "I would say our one in our county is already overworked and struggling." She asked Novotney how the task force devised the program. Novotney, who is also the superintendent of the Willamette Education Service District, said schools were not as well positioned to lead regional efforts. For example, his district, which serves three counties, used Medicaid money to work with Lines for Life to focus on youth suicide prevention. "We don't need a (full-time employee) in every county," Novotney said. "What we do need is individuals who can help broker those relationships between county mental health, school districts in their region and have expertise in rolling out larger, regional programs to focus on youth suicide prevention and mental wellness." Helt said in an interview that she wanted legislators to reach out to counties and see what they and school districts feel is the most effective way to serve kids who need help. "This is a very serious choice, to me, of how we move forward and lay out the system," Helt said. "We don't have a chance to make a mistake." The proposal comes as legislators are working on an enormous plan to overhaul the state's struggling public school system. After traveling the state to solicit ideas from Oregonians, lawmakers concluded that more must be done to help students with their mental health and to make classrooms and schools safer. Senate Bill 52 — known as Adi's Act, named after Adi Staub, a transgender Portland girl who died by suicide in 2017 — would mandate school districts to develop a policy that includes "suicide prevention, intervention and activities that reduce risk and promote healing after a suicide," identify the school officials responsible for the policy, and require districts to review a school's response to reports. Oftentimes schools can't access the offending text, Snapchat message or Facebook post, which makes it more difficult to address harassment or bullying. The bill would encourage districts to draw up agreements with social media sites and police on how to disclose online content. Meanwhile, the state's largest teachers union sounded an alarm on another school safety issue this week, claiming that student behavior in the classroom is getting increasingly troublesome. In "A Crisis of Disruptive Learning," the Oregon Education Association reported that more money for schools could address behavioral problems among students that teachers aren't equipped to handle. "Students are coming to school with complex needs, students and educators don't feel safe, and schools and districts don't have the resources to address the root causes of these incidents," the association's report said. "Students are biting, kicking, punching. Young children are cursing, yelling, screaming. Innocent objects are turned into dangerous weapons." Helt, the lawmaker from Bend, said teachers shouldn't be restraining kids unnecessarily, but schools need a way to get kids out of a classroom if they are being disruptive. She is proposing a bill to do that. "We have got to find a middle ground that works for all students and gives teachers the authority to be the ones in charge of our classrooms," Helt said.